Gone are the days when businesses used to take customers for granted and there was a monopoly from seller’s point of view. Now, the tables have turned and the story is twisted. In today’s scenario, customers are the king. They have the power, and they have the choice. The choice to choose from thousands of businesses. So, what is the X factor that draws customers to a particular brand? Well, it’s the way you treat your customers. In a survey, almost all of the customers (95%) have admitted that they do leave a business even after a single lousy service experience. So, it means the competition is really cut-throat. Businesses are doing anything and everything to provide a first-rate customer experience. Some of the firms are investing humungous capital in their in-house facility and getting a gruesome outcome. This is so because hiring and training customer service reps demand a continuous flow of money from your end. Also, installing the latest technology and tool for smoothening the overall process is also a costly affair. Customers expect the best with respect to everything from their business. So, it becomes imperative to do so. Understand that your patrons are going to make the first point of contact with your business (after sales) via your customer service or the call center services. Therefore, it becomes paramount to provide them with a sterling level of service experience. These things are duly noted and implemented by the call center experts. They ensure to never ever compromise on the quality aspect and also make sure to keep the customer as their first preference. So, a higher level of customer satisfaction is accomplished. BPO services providers understand one clear thing. They are going to represent their client’s brand in front of the latter’s customers, which means, their agents have a big responsibility. Because of this, call centers ensure to conduct regular training sessions for their agents. The training schedule typically consists of latest trends, customer’s behavior, tips on weeding off bottlenecks and getting verse with the hi-tech tools. Around 75% of the customers have admitted to ending the call if the agents take too much of time to address it. This stats is the reason that proficient BPOs ensure to leave no stone unturned while serving customers. Because if you leave any loopholes, it means you are missing a business opportunity. The efficient call center experts ensure to keep the call-to-response time as low as possible. This call-to-response is also utilized as one of the crucial metrics used by these outsourcing companies to measure their performance. In-house experts owing to the lack of subject knowledge and expertise, often found themselves surrounded by the queries they could not answer. This forces them to keep the customers on hold and transfer the call to some particular department. Now, while the call is being transferred, around 65% of the customer admitted ending the call. Yes, no one wants to wait, then why should customers? Hiring a proficient BPO services provider gives you an assurance of not making your customers hold for a long time. Call centers train their agents to get the query solved in the least possible time. If anyhow some complicated issue turns up, then the call-back option solves the problem. See, BPOs are now providing a call-back option, which allows the customers to not hold and get a response from the agents as soon as they get free. This does not make your customers hold and also avoids you to lose any business opportunity. Hence, a higher customer satisfaction level is attained. We often hear that focusing on the customer’s requirement is the foremost criteria that businesses should focus on, but what about the contentment level of employees? 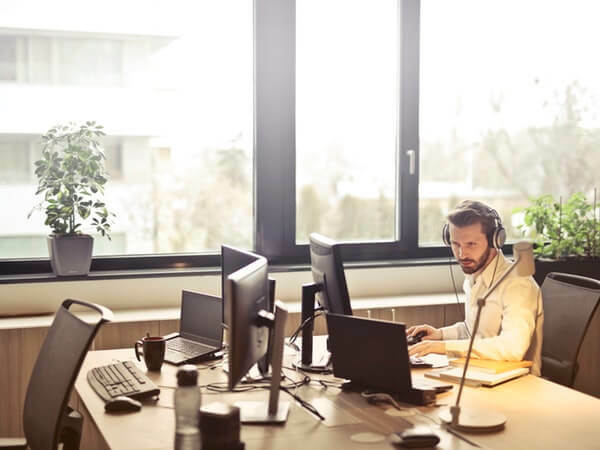 Since most of the companies and call centers do not focus on satiating their professionals, hence, a large turnover rate is often experienced. If a call center faces higher turnover rate, it means there is something not right about it. The reason behind keeping employees happy is that when your agents are content, they will provide the customers with an exceptional service level. Hence a maximum level of customer satisfaction is attained. PrevHow to Make Your Money Work Harder for You?